The Eredivisie resumed play this weekend after a week off from an international break, returning with a flurry of goals across the table. Continue Reading “Dutch Digest – Week 14” at World Soccer Reader. In the early hours of Thursday morning, Richard Farley, Jared DuBois and myself went through the selection process of the upcoming World Cup. The three of us explained the process at which teams are selected, we drew to the eight groups and shared our thoughts on the groupings. It’s my second appearance on “Inside the Six” this week, and a bit different for me. Still had a chance to talk U.S. soccer and show my bias for the Dutch (even if Farley seems to have it out for the Orange). 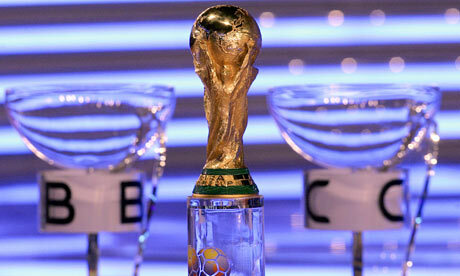 Click here to listen to “World Cup Mock Draw” at World Soccer Reader. Wednesday afternoon, the U.S. men’s national team faced Denmark in Aarhus. Fielding what many considered to be a “B” team, the Yanks received a goal from a new face. The lead slipped away though as the Danes overwhelmed the Americans to start the second-half. Continue Reading “U.S. Downed by the Danes, 3-1” at World Soccer Reader.